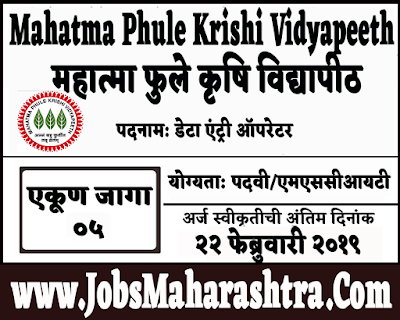 Mahatma Phule Krishi Vidyapeeth inviting application for Date Entry Operators Posts. Eligible candidates can apply through by post/by courier on below given departmental address before 22 February 2019. For more details like age limit, salary, how to apply, selection process please refer the below article. Age Limit:- The Upper age limit will be 40 years for men and 45 years for women. Rs. 18,000/- per month payable as a salary. 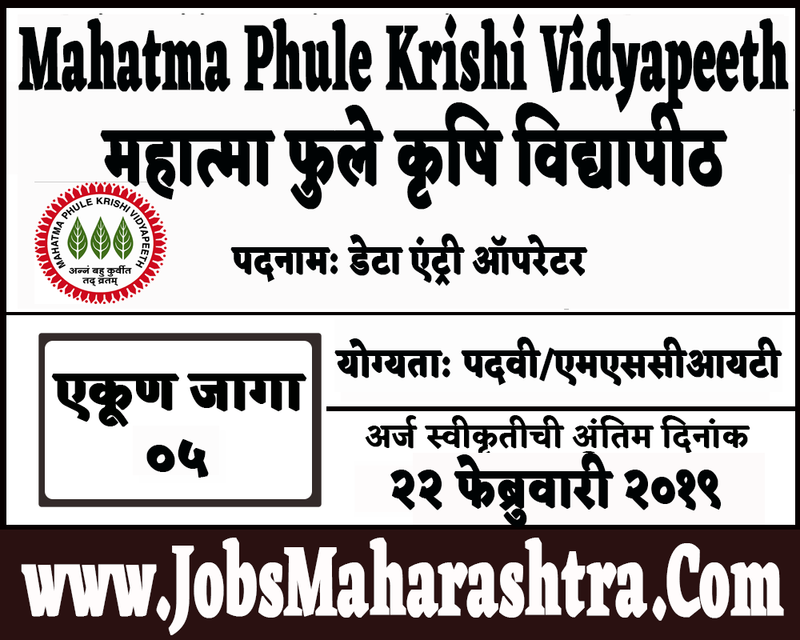 The Recruitment Officer, CAAST-CSAWM, Department of Irrigation and Drainage Engineering, Dr. A.S. College of Agricultural Engineering and Technology, Mahatma Phule Krishi Vidyapeeth, Rahuri, Dist; Ahmednagar-413722 (MS).